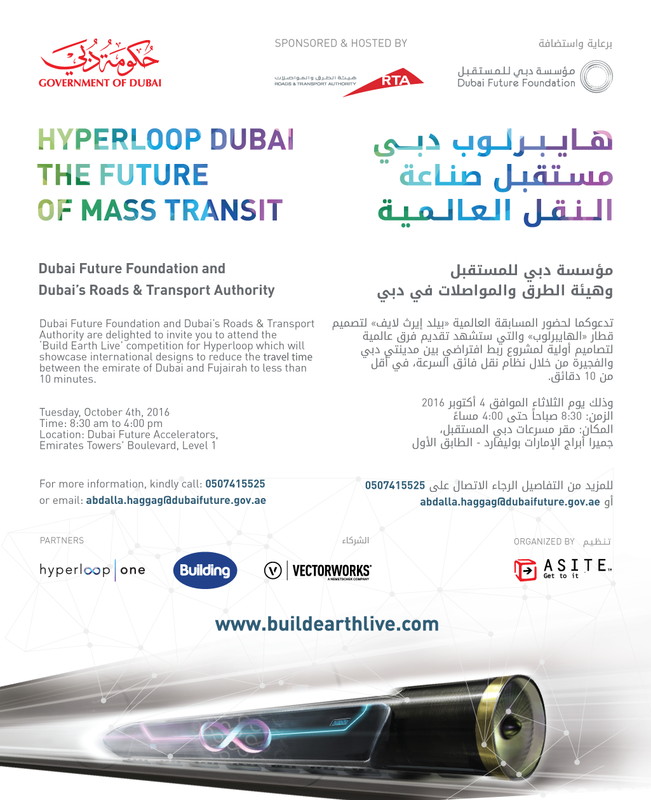 Want to meet the winners of Build Earth Hyperloop? Join us at the official award ceremony in Dubai's Emirates Towers, meet the teams, Judges and sponsors admittance is free! Simply email marketing@asite.com with your name, company and contact details to join our guest list.